On-Demand Delivery App Solution. Get a Free Quote Now! We specialise in developing mobile app solutions for the on-demand industry including Healthcare, FinTech, Taxi Booking and Food Ordering. Bespoke Web Design and Development Solution. Get a Free Quote Now! Specialising in MVP development, B2B platforms, enterprise applications, and SaaS software development, whilst using an agile approach. Build Your Dream Mobile App. Get a Free Quote Now! Our mobile app developers build tailored mobile applications using both native and cross-platform technology. Our recommendation of which approach to use will depend on your project requirements, your budget and your desired delivery timeline. Providing you with a Customer-Driven Strategy to bring demand to your App! Get a Free Quote Now! Our experienced professionals work with you to design an online strategy that prepares your business for success! Hire a Dedicated Developer! Get a Free Quote Now! We provide businesses with professional software engineers and dedicated development teams to complete corporate projects. Our developers work remotely on an affordable hourly or fixed cost basis. that they use over and over again. We eat, sleep, and breathe mobile. It's who we are. Nimble AppGenie provides you with a cost-efficient complete mobile app development solution. Our highly experienced mobile app developers have got a great track record of developing slick Native iPhone and Android apps. We are a leading software development company, who offer highly customised web designs and development solutions. We only rely on technologies that arerobust and secure to develop all of our web-based projects. You can have great functionality, but without a great design, a lot of that good work is undone. Our modern and sleek designs ensure that the end-user has an amazing visual experience, whilst still finding it incredibly simple to navigate. Our mission is to be the number-one company for developing ideas from enterprises and entrepreneurs, into products that completely disrupt their industries. We help brands, enterprises and start ups,by creating mobile and web platforms of the highest quality, in a world that is more focused on the end-user than ever before. We our team’s product management, design and software development skills to architect market leading digital solutions for smartphones, tablets, and PCs. We take great care with all the projects that we work on. We see our client’s projects as one of our own, ensuring that all work that we do, is work that we are proud of! It is this collaborative approach that has resulted in over 95% of our clients deciding to work with us on more than one project. The Nimble AppGenie team is made up of experienced app developers and tech entrepreneurs.We really understand the necessary ingredients to make a quality mobile application that your customers love! The Nimble AppGenie team has been a pleasure to work with throughout the entire experience we’ve shared. Their professionalism and commitment to their work has really made this experience a very positive one. I would recommend the company to anyone with confidence! Although my technical skills are limited, this did not prevent the Nimble team from providing quality work, whilst maintaining a positive attitude at all times. The quality of work is exceptional! Honestly, this team is so committed to customer satisfaction that I initially believed that they were too good to be true, but they have delivered on every promise they made. Every experience I’ve had with Niketan and Jermaine has been enjoyable. Their professionalism and ability to create amazing work, sets the company apart from others who provide similar services. Highly recommended. They provided the best solutions according to my specific business needs. They know their work and understand our needs for our type of business. Although I had the idea, I had no knowledge about how to make the idea happen, but the team made it clear and easy for me to continue my project! They care about doing a good job, and I would definitely recommend them to a friend. Thank you! Looking forward to working with you again!!! Happy Client's for 800+ Web and Mobile App Development Projects. Looking to create the next big thing? So are we! Get in touch and we’ll get back to you within one business day! 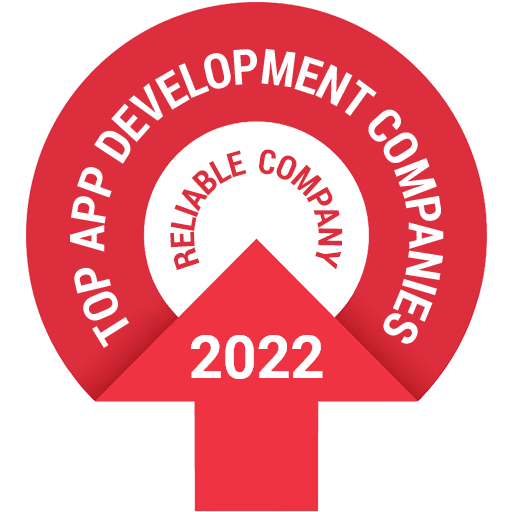 4.9 / 5.0 by 450+ customers for 800+ Web and Mobile App development projects. Copyright © Nimble AppGenie All Right Reserved. Inquire nowLet's have a Conversation!